Nine bombers, believed to be christians, were apprehended this morning when they attempted to bomb a COCIN church at Miya Barkate, 20 kilometres along Jos-Bauchi Highway in Bauchi State. The suspected bombers are Lamba Goma, Filibus Danasa, Joshua Ali, Danjuma Sabo, Joseph Audu, Simon Gabriel, Bulus Haruna, Yohanna Ishaya and Daniel Ayuba (who was the immediate past Secretary of PDP at Tilden Fulani Ward, Toro LGA, Bauchi State). The suspects are members of the same COCIN church, Unguwar Rimi, a new and small Christian settlement between Tilden Fulani and Shere Hills. The suspects who were thoroughly beaten by the public were rescued by police and then detained at the Toro Divisional Police Division before they were transferred to Bauchi State Police Command, Bauchi. 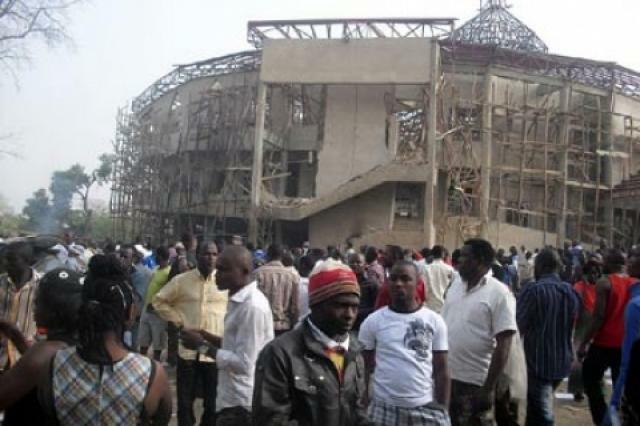 At about the same time this morning in the Neighbouring Plateau State, a bomb explosion was reported at the headquarters of the same COCIN church during a Sunday service. The number of casualties are not certain. The pastor of the targeted COCIN Church in Bauchi is Ishaya Izam, who recently arrived on posting from the Cocin headquarters in Jos, which was bombed this morning. To read more on this ongoing development, visit the original news report here.